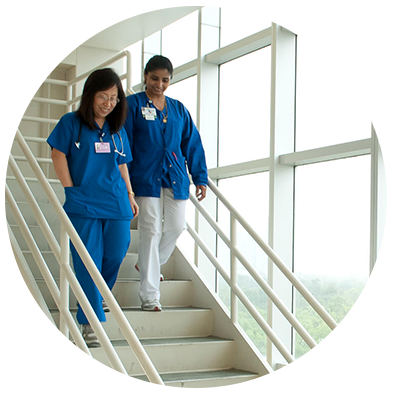 We are committed to promoting an environment that is safe, healthy, and secure for our workforce members, patients, and visitors by following all safety procedures and guidelines. To take all reasonable precautions and follow all applicable environmental, health, and safety requirements and rules. To wear Personal Protective Equipment (PPE) whenever it is required. To ensure that you are properly trained to use the equipment you are required to use and that you are properly trained to perform any procedure you are required to perform. To promptly report any and all spills or accidents involving medical waste or hazardous materials, and to report any and all injuries to a workforce member, patient, or visitor. To immediately report any physical assault, threat, intimidation, property damage, or knowledge of an unauthorized weapon to prevent workplace violence. To wear your Harris Health ID Badge at all times and in the proper location. To never report to work while being impaired by medication (even prescribed medication) or alcohol. I noticed an improper disposal of some medical waste. Because I am very busy at work, is it okay to wait until later to report what I saw to my supervisor? No. Safety is a top priority at Harris Health and a hazard such as the improper disposal of medical waste cannot be ignored. This hazard should be immediately reported the moment it is witnessed. I have a concealed handgun license. Is it okay for me to bring my gun into my office as long as I keep it in my purse? No. Workforce members are prohibited from possessing weapons on Harris Health premises, even if you have a license to carry the weapon. Please see Harris Health policy 3.66, Weapons for more information.